Researchers from Stirling's Institute of Aquaculture have contributed to a major international research project - investigating the impact China is having on world fish supplies. 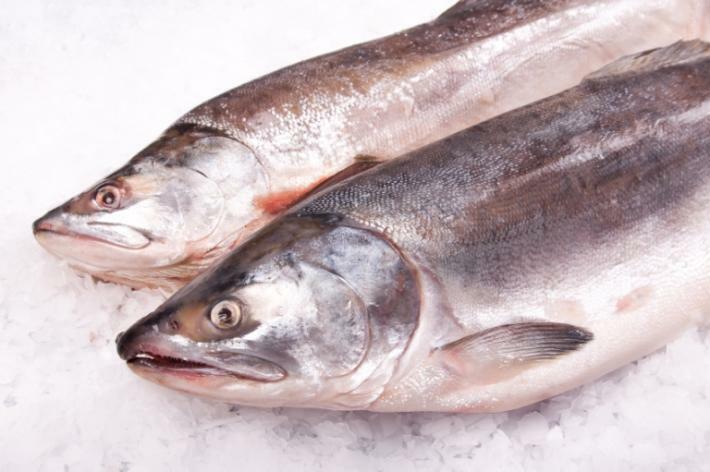 The University of Stirling has contributed to a major international research project to investigate the dangerous pressure China’s aquaculture industry is putting on world fish supplies. In a new paper in the journal Science, the researchers offer the clearest picture to date of the enormous impact China is having on wild fisheries and present a more sustainable alternative to the current practice of using wild-caught fish to feed farm-raised fish. China is the world's leading producer, consumer and processor of fish, contributing one-third of the global supply. Its booming aquaculture industry relies increasingly on fishmeal made from wild-caught fish, a practice which depletes wild fish stocks and strains fragile ocean ecosystems. Fishing in the coastal waters of China is poorly-regulated and often indiscriminant. The result is that large volumes of assorted “trash fish” – species that are undesirable for human consumption – end up in animal feeds, including in fishmeal that is fed to farm-raised fish. Many of the species of wild fish used for feeds have been fully exploited or overexploited, and reducing this demand will help protect fragile ocean ecosystems. One promising solution is to recycle the waste by-products from seafood processing plants across China. This waste, which can be 30-70% of the incoming volume of fish, is often discarded or discharged into nearby waters. The team’s analysis shows that these processing wastes could satisfy between half and two-thirds of the current volume of fishmeal used by Chinese fish farmers, replacing much of the wild fish currently used in feeds. Zhang added: “Issues of quality and food safety are two possible obstacles to implementing this fish processing waste alternative because the waste is lower in protein than wild-caught fish and its use also raises concerns about contamination and disease transmission. Lead author, Ling Cao, a postdoctoral scholar at the Center on Food Security and the Environment at Stanford University said: "This is a critical juncture for China. If the country makes proactive reforms to its aquaculture sector, like using fish processing wastes instead of wild fish, and generally reducing the amount of fishmeal in aqua feeds, it can greatly improve the sustainability of the industry. If not, the consequences for the entire global seafood supply chain are going to be really serious." Led by Stanford University, USA, the research brought together a consortium of scientists from around the world. Zhang worked with colleagues from Leiden University, the Netherlands; the University of Wollongong, Australia; Stockholm University, Sweden; The Royal Swedish Academy of Sciences, Sweden; and Shanghai Ocean University, China. The research was funded by the Lenfest Ocean Program of The Pew Charitable Trusts, the China Fund of the Freeman Spogli Institute for International Studies at Stanford University, the EU-FP7 Sustaining Ethical Aquaculture Trade (SEAT) project and the David and Lucile Packard Foundation. The University of Stirling’s Wenbo Zhang and Patrik Heriksson based at Leiden University were both working on the Stirling-led EU FP7 funded SEAT (www.seatglobal.eu) project in China and three other Asian countries.